When I work with a client, I want to know what inspires them. Is it a particular color, a particular look or a specific item? Something as simple as a photo in a magazine or a colorful lampshade can be the focal point for an entire room. I will even take my clients on a shopping trip, so that they can see accessories, furniture and lamps in real life instead of simply in photos. I will expose them to color swatches in cloth and paint, and show them flooring samples – all the while looking for that ‘a-ha’ moment when they see something that inspires them and their eyes light up! 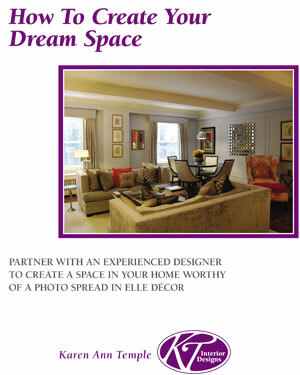 Are you thinking of redecorating a room in your home? If you would like some guidance in finding your inspiration, then call me for a complimentary initial consultation. 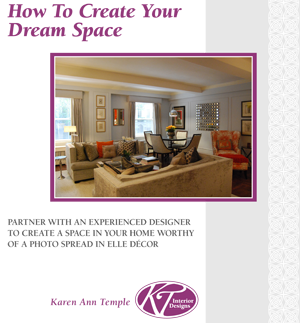 Let’s work together to find out what inspires you, and use that information to create your ultimate home environment. ← Colorful Spring is Just around the Corner!